Is the science of vision. 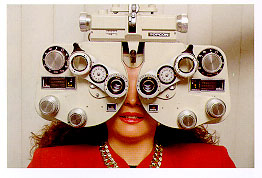 The Optometrist is a technical professional, not Medicine Doctor, who measures the patient’s visual efficiency and provides the optical solution (spectacles, contact lenses, or magnifying devices) or the functional solution (visual education, visual training), for the protection, support and improvement of the same. The Behavioral Optometrist regards the visual system intimately integrated with all human senses and system of elaboration of information within the human body, for this reason his attention, when examining the patient with the environment. The Unicist Optometrist is the most recent evolution of behavioral approach. According to the philosophy of the One Principle, the energetic power of light is used by means of lenses to improve and sometimes resolve the visual problem found in the patient. 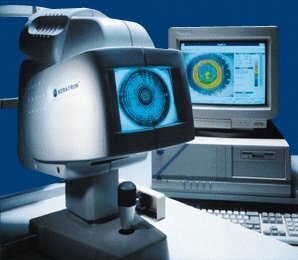 WHAT ARE THE OBJECTIVES OF A OPTOMETRIC VISUAL ANALYSIS? To identify of the prove of evidenced by the patient. To evaluate the normal health conditions of the eyes, considering, whenever the case occurs, the necessity to proceed to examination by other specialists, if the problem is not within the optometrists’ competence. To search for the cause of the disturbance, evaluating the refractory and behavioural condition of the patient. Indicate the best solution to the problem. To foresee, whenever possible, the capacity to endure, and the efficacy, of the optic and/or functional (visual training) solution. The basic visual examination, the visual analysis, costs about from 25,82 to 61,97 Eu according to time required, from 25 to 45 minutes. frequency of the visits is defined case by case; normally standards programs consist of 6 to 8 visits to be made at intervals of 7-15 days.